LAYTON: Milktoberfest! The holiday for drinking milk and doing homework. Okay, not what you were expecting. Bavaria has Oktoberfest; Brigham Young University, in Provo, Utah, has Milktoberfest — Brigham Young being a Mormon university, and therefore prohibiting the consumption of, among other substances, alcohol. LAYTON: People don’t drink, but we still like to have a lot of fun. Roger Layton, communications manager at the B.Y.U. library, helps produce Milktoberfest. LAYTON: And so we thought, “Let’s just embrace that. Let’s just enjoy it.” We had a very energetic group of German folk dancers come in and perform, and we brought in cases and cases of chocolate milk. As soon as the milk was there and we said, “Go!” — it basically became a free-for-all. OLDROYD: People love it because Milktoberfest was almost B.Y.U. lite or something like that. That’s Brenna Oldroyd, a B.Y.U. student who helped put together Milktoberfest. The chocolate milk they’re drinking isn’t just any chocolate milk. It’s some pretty legendary chocolate milk, made in B.Y.U.’s own creamery. LAYTON: If you show up at a party with chocolate milk, no one’s going to complain. It may seem a little childish, but people will drink it. It’s friendly, it’s safe, and it’s happy. OLDROYD: And one of the great things about partying with chocolate milk is if you’re smart, you’re not going to throw up later. That’s a plus. This all sounds pretty awesome, right? And wholesome, too — swapping out beer for chocolate milk. But is chocolate milk really as wholesome as it seems? Do you know how much sugar there is in one cup of chocolate milk? The answer is 24 grams — a bit more than you’d find in a standard serving of soda. And there are those who argue that the detriments of sugar — well, they’d argue that, from a metabolic standpoint at least, Milktoberfest isn’t much better than Oktoberfest. Robert LUSTIG: We started comparing what sugar did versus what alcohol did, and we realized, you know what, sugar and alcohol do the exact same thing. If you’ve been following health news in the last decade, you’ve likely noticed that there’s a war on sugar. Saul ARNOW: Dear Freakonomics, My name is Saul Arnow, and I’m an 11-year-old listener from Chicago. I was wondering why sugar isn’t considered a drug even though it is addictive and stimulates the brain. Sincerely, Saul. Elizabeth ABBOTT: St. Thomas Aquinas, way back in the 13th century, pronounced sugar a medicine. Robert LUSTIG: Now alcohol, tobacco, morphine and heroin clearly meet these four criteria. Richard KAHN: We have no clue, no real good evidence that it’s going to do any good whatsoever. And we’ll hear about your sugar habits. BOY: I tried to give it up once, but it didn’t work out at all because I’m addicted to sugar. I can’t help it. Before we get into the nitty-gritty on sugar, let me offer a sort of caveat. KAHN: In general, nutrition studies are not very robust compared to many other fields in biological science. KAHN: I’m the former chief scientific and medical officer of the American Diabetes Association. So what’s the problem with nutrition studies? KAHN: There are often no controls, no randomization, small number of subjects — it’s very difficult to conduct very robust, long-term studies on nutrition. Okay, this is a really important point. It’s the kind of thing we talk about all the time on this program — the legitimacy of data, yada yada. But with nutrition, there are a few things going on that make it particularly tough. No. 1: this is about something that we all put in our mouth every day. Which means we all think of ourselves as experts. Unlike particle physics or financial engineering, this is something we all do all the time, so of course we know what we’re talking about. No. 2: most nutrition science is built on survey data — that is, asking people about what they’ve eaten, or asking them to keep food diaries, things like that. If you’ve been paying any attention at all to Freakonomics Radio over the years, you know this is a surefire way to gather some not-so-realistic, or at least not-so-robust data. And so, as Richard Kahn said, it can be a real challenge to run a really convincing nutrition study. KAHN: Because people do not want to participate. They don’t want to alter their diet patterns for a long time and they don’t comply with the regimen of the instructions in the randomized trial. Stephen J. DUBNER: As a public health official in New York and at the national level, you’ve tried to stem AIDS and T.B. and pandemic flu. You’ve tried to prepare the public for a potential bioterror attacks. How, in light of those dangers, would you rank the consumption of sugar? HAMBURG: Well, they’re very different threats. But we have to recognize that — while acute public health crises really demand all of our attention and get a lot of response — that how we live, what we eat, if we exercise, many aspects of our daily lives have the greatest impact on health and disease. HAMBURG: I am a medical doctor and a public health professional who has served in government at many levels over many years now including most recently as the U.S. F.D.A. commissioner. DUBNER: I wanted to ask you briefly about some F.D.A. definitions. When I read them I have to say they are somewhere between comical and incomprehensible. When the F.D.A. defines food, food additives, drugs and, then “substances generally regarded as safe.” So those are the categories. Which of these definitions apply to sugar? HAMBURG: You know, I have to agree with you that many of the definitions are hard to penetrate. HAMBURG: No, no! Congress is responsible for some of it, and the F.D.A. lawyers for some of it. And, of course, many of these laws and regulations and guidances and definitions have evolved over many, many years. But it is complicated and confusing and it’s why there are almost as many lawyers as scientists at the F.D.A. DUBNER: For instance, the very first thing: “food.” No. 1, “articles used for food or drink for man or other animals.” I can imagine that could easily fit within F.D.A. guidelines then, if it were used for food. Yep? HAMBURG: It’s really hard to answer a question like the one you just posed to me. Sugar is intrinsic to many food products. It’s not going to be regulated in the same way that a completely exogenous additive to a food product can be regulated. DUBNER: But technically, the categories under which sugar falls, however, are “food additive” and G.R.A.S., “generally regarded as safe,” and not food itself. Correct? HAMBURG: This is my point. I’m not going to answer your question because I don’t have my lawyers here. HAMBURG: But there are sugars in fruits and vegetables, there are sugars in dairy products, there’re sugars in various grasses that people consume. It’s intrinsic to the food product itself. For instance, let’s get back to chocolate milk for a minute. As we said, it’s got 24 grams of sugar per one-cup serving, more than some soda. But regular old milk, without the chocolate, has about 12 grams of sugar — it’s naturally sweet from the lactose. And then there’s the sugar that’s added to many foods. HAMBURG: Products that you think are actually very healthy — yogurt — the levels of sugar are astonishingly high. Things like barbecue sauce and spaghetti sauce and soup actually have much higher levels of sugar than you would ever imagine. Not to mention the levels that are in you know pies and cakes and ice cream and things where you would expect to see sugar. So how much sugar, overall, do we actually consume? LUSTIG: Right now we are about 60 to 65 percent over our limit, and that’s average. LUSTIG: I’m a professor of pediatrics at the University of California San Francisco School of Medicine, also a member of their Institute for Health Policy Studies. My job is to try to treat obese children and now, also, alter the global food supply. DUBNER: Easy picking the low hanging fruit for yourself, I see. LUSTIG: Easier said than done. In both cases. The data vary — again, this is nutrition science we’re talking about here — but the most recent estimates show that Americans consume between 20 and 30 teaspoons of added sugar per day. That’s down a bit from our peak consumption, sometime around the early 2000’s, but Americans still consume more added sugar than anyone else. This has turned Lustig into one of the most outspoken sugar critics you will find. He came to this position over many years. LUSTIG: I’m a pediatric endocrinologist. I take care of glandular hormonal problems in children. I was doing that pretty seamlessly for a good two-to-three decades. Then the kids started getting fat on me. The question was, “What’s going on?” We started looking at what sugar did to the body, and what we realized was it caused this thing called insulin resistance and particularly in the liver. We started comparing what sugar did versus what alcohol did, and we realized, you know what, sugar and alcohol do the exact same thing, and it makes sense that it should, because after all, where do you get alcohol from? Fermentation of sugar. We were now seeing the diseases of alcohol without the alcohol. That started my, shall we say, advocacy in this field of obesity and public health. KAHN: If you are indeed overweight or obese, you want to lose weight, the first place to start is to reduce sugar consumption. That, again, is Richard Kahn, formerly of the American Diabetes Association. KAHN: The reason being that we get plenty of energy from other carbohydrates, we don’t have to rely on sugar to get our energy. And the second reason is that sugar itself does not come along with any other essential nutrients, vitamins or minerals. So you might think that Kahn and Lustig are in precisely the same camp. But there you’d be wrong. KAHN: There’s no question that there is a real obesity epidemic throughout the world. That, I think is very real. It’s very important. It’s very serious. It has clear adverse health consequences. In addition, that has led directly to a dramatic increase in the incidence of diabetes throughout the world. We first saw this in the United States. We’ve seen it in European countries. We’re now seeing it in Asian countries. Diabetes is clearly a serious disease. It has quite serious complications and that’s a problem. Then the question becomes, “What has caused the obesity epidemic?” And that is, to use the euphemism, the $64,000 question. There are many potential contributors to the rise in obesity. KAHN: There’s been some evidence that with the increased use of psychotropic drugs, anti-depressive drugs, drugs for schizophrenia and other mental disorders — those drugs tend to promote weight gain. Another possibility is that we’ve seen, clearly, smoking cessation in a large proportion of the population. And when people stop smoking, that’s usually been associated with weight gain. Psychotropic drugs, smoking cessation, potential infections have been attributed to a rise in obesity. There’s also a lot of research arguing the rather obvious point that we consume more calories today than we used to — for a lot of reasons. The relative low cost of food; the deliciousness of food; the availability of food — especially the availability of cheap, delicious, sweet food. KAHN: Many people do believe that sugar consumption has been the cause, is the cause, of our obesity epidemic and then, subsequently, diabetes. But I believe that the evidence for this is pretty weak. KAHN: If we look as an analogy, for example, to cigarette smoking, and try to make the link between sugar and obesity or diabetes, and cigarette smoking to cancer. What are the differences? Okay, what are the differences? KAHN: In the cigarette-smoking realm, the lowest smoking rate produced an enormous incidence of lung cancer. The highest rate of smoking was just simply off the charts in terms of the likelihood of developing lung cancer. Conversely, with sugar consumption, it’s less than a two-fold increase at the highest levels. This gets into tricky territory. As Kahn says, some studies do find a two-fold increase in diabetes at the highest level of sugar consumption — but other analyses, including one by Robert Lustig, argue it’s considerably higher. That said, the relationship between sugar and obesity is nowhere near as strong as the relationship between smoking and lung cancer. According to the NIH, even “light smoking” results in a nine-fold increase. KAHN: The next one is something called temporality. In other words, is there association in time between sugar consumption and obesity? That held pretty true from about 1985 to the year 2000. Where obesity levels went up, sugar consumption went up. But thereafter starting in the year 2000, even to today, sugar consumption has declined somewhere around 15 to 20 percent, whereas obesity rates continue to rise. We don’t see that at all with smoking, the analogous situation. Cigarette smoking rises, cancer rises. Cigarette smoking declines, cancer declines. This, of course, doesn’t mean that sugar doesn’t contribute to obesity. Just that, again, the relationship isn’t so definitive. Kahn points to another difference between smoking and sugar. KAHN: In cigarette smoking, we found a link between cigarette smoking and cancer in every population, every ethnicity, both genders, all kinds of tobacco use and even in bystanders. Conversely, with sugar, we don’t have that consistency whatsoever. KAHN: In general, nutrition studies are not very robust compared to many other fields in biological science. In sugar consumption, most of [the studies have] either no controls, a very small number of subjects … They’ve only lasted for days or weeks at the most. The experimental studies have not been robust. So in Kahn’s view, the science on sugar is not settled. Which means that the notion of regulating sugar is, at best, premature. KAHN: I don’t think that there is any absolute amount of sugar that we should be under in our consumption. It all relates to eating a well-rounded diet. To Robert Lustig, meanwhile, the time for regulation is now. DUBNER: This episode was inspired by a listener, who wrote in to say, “If sugar is as bad for us as a lot of people are now saying it is, why isn’t it regulated the way other potentially harmful substances, like alcohol or tobacco, are regulated?” How do you answer that question? LUSTIG: Well, the public health community has identified four separate criteria that are needed to be fulfilled before a substance can be considered for regulation. No. 1: ubiquity, that is, can’t get away from it. No. 2: toxicity, that it’s dangerous. No. 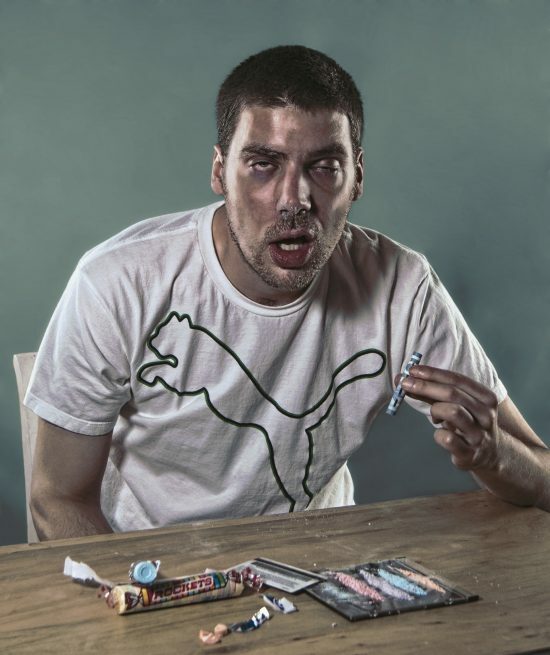 3: abused, that increased consumption is inherent in the molecule itself. Finally, No. 4 is externalities. That is, your consumption hurts me. Now alcohol, tobacco, morphine, and heroin clearly meet these four criteria. The question is, “Does sugar meet them?” And the answer is, yes, it does, absolutely. Okay, let’s look at those four criteria for sugar. Ubiquity? That’s pretty much a no-brainer. But what about toxicity? Lustig’s hypothesis has to do with how the body handles fructose. LUSTIG: When you consume dietary sugar, the glucose molecules can go anywhere in the body; only about 20 percent hit the liver. But the fructose molecules have to be handled in the liver, because there’s a specific transporter called the GLUT5 transporter; it is only in the liver. When you consume a soda, you are flooding your liver, and your liver can’t handle the flood. The liver has no choice but to turn that fructose into liver fat. It’s that liver fat that causes the chronic metabolic disease. We have the data that demonstrates that it’s the liver fat made from dietary sugar that is at the nidus, at the beginning of type-2 diabetes, heart disease, fatty liver disease. We’re starting to ferret out the links between dietary sugar and cancer and dementia as well. DUBNER: But I know there’s other research that says that the toxicity argument may be overstated. That it’s not an acute toxin but a chronic one. LUSTIG: You are absolutely right that sugar is not an acute toxin. Chronic toxins are still toxins even though they don’t make you keel over and die. Is benzene a toxin? We regulate it as such. Benzene doesn’t kill you acutely. LUSTIG: Alcohol is both. It’s an acute toxin. You can die on a bender. Or it’s a chronic toxin — you can fry your liver. It’s both. The point is that the F.D.A. regulates acute toxins, because it’s in their charter, The Food, Drug, and Cosmetics Act of 1938. Very specifically, it does not say anything about chronic toxins. The F.D.A. does not regulate chronic toxins. Criteria No. 3 for regulation: the potential for abuse. LUSTIG: It turns out that there is no biochemical reaction in any vertebrate on the planet that requires dietary fructose. Now, it happens to be sweet. It happens to signal our brain reward centers that we like the stuff. We happen to crave it. We happen to really enjoy it, and a little too much. In fact, now we have data that shows that it happens to be addictive as well. Nicole AVENA: The question about whether sugar can meet the criteria for an addiction or an abused substance is something that I’ve been studying for many years now. It’s something that I think has become of interest to a lot of people. That’s Dr. Nicole Avena. She’s a research neuroscientist at the Mount Sinai School of Medicine in New York. The D.S.M. is the Diagnostic and Statistical Manual of Mental Disorders. It defines addiction or substance abuse along four main criteria: impaired control; social impairment; risky use; and pharmacological indicators like tolerance and withdrawal. AVENA: You certainly don’t need to meet all of them and many people who are addicts don’t meet all those criteria. But you do need to meet a certain number of them for a protracted period of time. What the research has suggested in both animal models and in clinical studies is that the criteria for addiction as we classically define it in the DSM can be met when the substance of abuse is a sugar or a palatable food, in many cases. We see evidence of bingeing, withdrawal, craving. We also see changes in the brain. Now, it’s worth pointing out that some of the most troubling studies are animal studies, which can be problematic on two fronts. One: the lab animals aren’t people, so they process sugar differently. Two: the doses of sugar they receive in the lab are often so large as to not be comparable to what most people would consume. Moreover, sugar isn’t the only thing we consume that has “addictive” qualities: pizza and french fries are also at the top of the list. So how well does this emerging model of sugar addiction line up to the addictive criteria for the sort of drugs that we do regulate? AVENA: It’s a difficult question, because sugar is safe when it’s used in moderation. But the problem is that most people are unaware of how much sugar they’re consuming. Also, if the data suggests that the sugar is producing addictive-like changes in the brain, then we’re talking about something very different. Because if you’re no longer be able to have full volitional control over your decision to eat or not eat the sugar, then that becomes a different type of discussion. The fourth criteria for regulation, that Robert Lustig was telling us about: externalities. LUSTIG: That is, your consumption hurts me. A classic case of externalities is auto travel. Every time you drive, it costs me something whether I’m driving or not. More pollution; more congestion; more risk of accident. We share all those costs, regardless of my actions. LUSTIG: The question is, “Does this fit for sugar? Do I have anything to say about your consumption?” And the answer is, “Yeah, you’re costing me in obesity-related health care — whether I’m obese or not — because of your obesity.” It’s economic, but it’s real. 62 percent of all the health care costs in this country are shouldered by the federal government. Damn right, we share it! YOUNG WOMAN: I really like sugar. I know it’s bad for you, but I like it. SOUTHERN MAN: Right now, I am staying away from sugar, trying to eat a better, have a better diet. MAN: I’ve tried to cut back on it, but I’ve never given it up. I think it tastes delicious in the right thing, and I think that, at this point, it’s probably an addiction that my body just needs to have. I’ve never tried to give it up, nor will I try any time soon. GIRL: I’ve definitely eaten too much of it, because I had a sleepover at my friend’s, and for breakfast we had lollies! ABBOTT: Sugar started out as a minor commodity that was used for medicine and for spice, up into the Middle Ages. That’s Elizabeth Abbott. She teaches history at Trinity College, University of Toronto, and is the author of Sugar: A Bittersweet History. She says the debate over what sugar is — a food, a drug, or something in between — is hardly new. One reason sugar was welcome in medicine was because a lot of medicine tasted terrible — a combination bitter roots, animal feces, even bits of corpse. So yeah, a spoonful of sugar really does make the medicine go down! Outside of medicine, however, sugar was decidedly aristocratic. ABBOTT: For example, Persia — or Iran today — [sugar] was very popular among the elite. They are the ones that started this trend, this architecture of sugar. They would make beautiful sculptures often, for example, life-size trees. Sugar was costly, and sugar was rare. But the sugar trade began to grow, built on the back of the slave trade. ABBOTT: By 1680, sugar costs only half what it had in 1630. That was thanks to slavery. By 1700, the percentage of imported foodstuffs including sugar had more than doubled and they quadrupled between 1700 and 1740. England and Wales consumed 60 times more sugar — though their populations did not quite double. Abbott argues it was the Industrial Revolution that helped turn sugar into an everyday thing. ABBOTT: People started going from their farms and so on into cities and into factories. They couldn’t go home for lunch because they had maybe a 15-minute break. So sugared tea and a bun — or some sort of thing like that, often with jam on it — was offered instead, and that was what popularized it. It’s said that it fueled the Industrial Revolution because sugared tea — and it would be really sugary — has calories. They’re not nutritious but they are units of energy. The sugar boom helped create another boom that we’re still living through. ABBOTT: They had a lobby that was extremely powerful. We could say all the big heavy industrial lobbying probably stems from the success of the sugar lobby. That’s right: it wasn’t enough to benefit from slave labor and huge demand for their product. ABBOTT: The sugar plantations were profitable not just because of the demand but largely because of how they were politically strong. If they had failures, if they had hurricanes, if they had bad crops — which they often did — they could keep the price. They could get Parliament to help them out with good legislation and tariffs and so on that would favor them. By the way, the sugar lobby is still a very important on. It has a lot of weight still, and it now is an alliance of cane sugar planters and beet sugar planters. They get together to lobby when and when they feel that their interests are at stake. It was only recently uncovered that in the 1960’s, the sugar industry paid three Harvard scientists to write a review that shifted the blame for heart disease from sugar to saturated fat. Much more recently, Coca-Cola spent millions of dollars on research arguing that the real culprit in obesity is lack of exercise, not sugary drinks. So you can’t blame people for being confused, maybe conflicted, about the degree to which sugar is a health risk. I brought this up with Robert Lustig. There’s also the confounding fact, pointed out by former F.D.A. commissioner Margaret Hamburg, that a lot of time you’re eating sugar even when you don’t know you’re eating sugar. HAMBURG: Things like barbecue sauce and spaghetti sauce and soup actually have much higher levels of sugar than you would ever imagine. DUBNER: Talk to me for a moment about the Smart Choices program and what the F.D.A. did there. HAMBURG: The Smart Choices program was an effort spearheaded by industry. A number of major food-producing companies came together to create a system where you would give different scores to different aspects of the nutritional value of a product. The total number would then either give you the green check, the smart choice, or not. DUBNER: The name, I gather, was an industry name, yes? HAMBURG: Right. Exactly. The problem with it was that you could score adequately high to get that “green smart choice check” without the food truly reflecting what any sensible nutrition expert would view as a healthy, smart choice. Some of the products that got the smart choice label were over 40 percent sugar. We joked that you could practically take sawdust and if you added enough nutrients to it and the fiber of sawdust, you could have it labeled as a healthy choice, a smart choice. DUBNER: How long did that last? HAMBURG: It was out there for a little while. We expressed our concerns to the group that had put this together and was implementing it. They listened and understood. They decided voluntarily to withdraw the program. There have been a number of efforts to look at other strategies for providing consumers with important information about foods. The nutrition facts label, of course, is one important aspect. The nutrition facts label that’s on most processed foods and beverages in this country was first put into place more than two decades ago. But then it was never updated. When I was commissioner, we decided it did need to be updated to reflect both deeper understandings about how people eat. Serving size for example. Also, advances in nutrition science. We embarked on a process to update it. I think the most important contribution that this updated nutrition facts label provides is in the area of added sugar. DUBNER: As I understand it, food and beverage companies are already adjusting their products to consider the new labeling. Was that your intention? HAMBURG: Absolutely. One of the goals of putting out that information is to encourage companies to reformulate foods towards healthier products. We’ve certainly seen that happen as we move towards this the implementation of this new nutrition facts label. Stonyfield Yogurt just recently decided to significantly reduce levels of sugar before the new facts label is actually in place. F.D.A., in some ways, has the opportunity to use both the carrot and the stick. Knowing that we could do mandatory guidelines on certain things often encouraged industry to work with us, to come to voluntary approaches. But there’s no doubt that there are tensions. DUBNER: Robert Lustig and several others in that camp argue that sugar should be regulated substantially because it meets criteria for substances that should be controlled or regulated: unavoidability, toxicity, potential for abuse, and negative impact on society. I’m curious what your thoughts are on sugar fitting those criteria and whether you think that’s even a useful framework. HAMBURG: We need to reduce excess sugar in our diets and in the products that we consume. Consumers need more education and information. But I’m not sure that I can really embrace the proposal to regulate sugar in that way. DUBNER: Because it would be too overreaching? Because it would be too difficult? Why? HAMBURG: It’s a complex area to regulate in that sugars are intrinsic components of many foods which should be part of a balanced nutritious diet. Fruits and vegetables and dairy products are good examples. I think that some of the concerns that have been raised may not be fully grounded in the best possible science. KAHN: If you reduce it or get rid of it or put policies and laws regulating it, what good is it going to do? We have no clue, no real good evidence that it’s going to do any good whatsoever. Therefore, unintended consequences become a very important factor. Robert Lustig, meanwhile, is — as you’ve likely figured out by now — in favor of just about any kind of sugar regulation you can imagine. Taxes, for instance, and price hikes — both of which worked to reduce cigarette smoking, and are already being used on sugary drinks in a few places. LUSTIG: The modeling studies that have been done suggests that you have to raise the price of a can of soda by about 20 percent in order to see any meaningful reduction in consumption. Lustig’s also in favor of limiting the availability of sugar — removing vending machines from schools for instance. Also, banning TV commercials for products with added sugar. Also: getting rid of subsidies. LUSTIG: Subsidies for food make no sense because subsidies distort the market. DUBNER: One last question, perhaps ridiculous or impossible: let’s say we’re in a world where you could edit genes quite easily. It seems we’re not that far from it. Whether we’re talking about a 50-year-old person or a zygote. How would you consider editing the genes related to what seems to be a craving, perhaps even dangerous craving for sugar? LUSTIG: That’s a really tough question. We don’t want to turn off our reward system entirely. If we do, we get into trouble. We actually did this. We did this experiment with a medicine back in the early 2000’s. That medicine was called Rimonabant. What it was was it was the anti-marijuana medicine. It blocked the endo-cannabinoid receptors in the brain, and by doing so reduced reward for alcohol and for food. In fact, people who took Rimonabant lost a fair amount of weight. It looked very promising. Until we started looking at the Phase 3 data and started realizing that a lot of these people became severely depressed, and many of them committed suicide. We didn’t realize it, until we did those Phase 3 trial. It was never approved here in the United States. Bottom line is, if you take away a reward, you take away the reason for living. Be careful about gene editing our rewards system. YOUNG MAN: Most definitely shouldn’t ban sugar. Sugar’s one of the best things in the world. But I don’t think it should be taxed, either. I feel like it should just be accessible to everybody, because it’s a nice thing. It’s the best thing out there! YOUNG WOMAN: Probably a tax, but not a ban. I don’t think a ban would work very well. There’s just too much sugar in the world. But maybe a tax would have people thinking more about what they’re buying a little bit more. SOUTHERN MAN: A tax or ban on sugar? I feel that would backfire really bad. Look back at the Revolutionary War. The British put a tax on tea and people didn’t really like that too much! SMALL GIRL: I would probably cry because I love sugar! KAHN: One clear thing that comes to mind is just pleasure. Sugar is enjoyable to eat. It’s part of our culture, keeping our community together, our families together. HAMBURG: I will admit to having a sweet tooth. Oatmeal cookies, I’ll tell you, are my particular vice. LUSTIG: Sugar’s celebratory! Sugar’s fun! Sugar’s Apple Pie. Sugar is reward — but once a week. Freakonomics Radio is produced by WNYC Studios and Dubner Productions. This episode was produced by Stephanie Tam with help from Eliza Lambert, Matt Fidler, and Sam Bair. Our staff also includes Alison Craiglow, Greg Rippin, Alvin Melathe, Harry Huggins and Zack Lapinski. You can subscribe to Freakonomics Radio on Apple Podcasts, Stitcher, or wherever you get your podcasts. Saul Arnow, the 11-year-old Freakonomics Radio listener who inspired this episode! Elizabeth Abbott, senior research associate in the arts at Trinity College, University of Toronto. Dr. Nicole Avena, research neuroscientist at at the Mount Sinai School of Medicine. Margaret Hamburg, former commissioner of the U.S. Food and Drug Administration. Roger Layton, communications and public relations manager at Brigham Young University Library. Robert Lustig, professor of pediatrics and member of the Institute for Health Policy Studies at The University of California, San Francisco; president of the Institute for Responsible Nutrition. Richard Kahn, former chief scientific and medical officer of the American Diabetes Association. Brenna Oldroyd, student at Brigham Young University. “A Big Tobacco Moment for the Sugar Industry,” James Surowiecki, The New Yorker, (September 15, 2016). “ Dietary Sugar and Body Weight: Have We Reached a Crisis in the Epidemic of Obesity and Diabetes? : Health Be Damned! Pour on the Sugar,” George A. Bray and Barry M. Popkin. (April 2014). “Dietary Sugar and Body Weight: Have We Reached a Crisis in the Epidemic of Obesity and Diabetes? : We Have, but the Pox on Sugar Is Overwrought and Overworked,” Richard Kahn and John L. Sievenpiper. (April 2014). “Evidence for Sugar Addiction: Behavioral and Neurochemical Effects of Intermittent, Excessive Sugar Intake,” Nicole M. Avena, Pedro Rada, and Bartley G. Hoebel (2008). “How the Sugar Industry Shifted Blame to Fat,” Anahad O’Connor, The New York Times (September 12, 2016). “Is Everything We Eat Associated with Cancer? A Systematic Cookbook Review,” Jonathan D. Schoenfeld and John P.A. Ioannidis (January 1, 2013). “Isocaloric Fructose Restriction and Metabolic Improvement in Children with Obesity and Metabolic Syndrome,” Robert Lustig, Kathleen Mulligan, Susan M. Noworolski, Viva W. Tai, Michael J. Wen, Ayca Erkin-Cakmak, Alejandro Gugliucci, and Jean-Marc Schwarz (February 2016). “The Public Health and Economic Benefits of Taxing Sugar-Sweetened Beverages,” Kelly D. Brownell, Thomas Farley, Walter C. Willett, Barry M. Popkin, Frank J. Chaloupka, Joseph W. Thompson, and David S. Ludwig (October 15, 2009). “Public Health: The Toxic Truth about Sugar,” Robert Lustig, Laura A. Schmidt, and Claire D. Brindis (February 2, 2012). “The Relationship of Sugar to Population-Level Diabetes Prevalence: An Econometric Analysis of Repeated Cross-Sectional Data,” Sanjay Basu, Paula Yoffe, Nancy Hills, and Robert H. Lustig (February 27, 2013). “Resolved: There Is Sufficient Scientific Evidence That Decreasing Sugar-Sweetened Beverage Consumption Will Reduce the Prevalence of Obesity and Obesity-Related Diseases,” Frank Hu (August 2013). “Sickeningly Sweet: Does Sugar Cause Chronic Disease? No,” John Sievenpiper (August 1, 2016). “Sickeningly Sweet: Does Sugar Cause Type 2 Diabetes? Yes,” Robert Lustig (August 1, 2016). Sugar: A Bittersweet History by Abbott, Elizabeth (The Overlook Press, 2011). Sugar: The Bitter Truth by University of California Television (UCTV) (March 7, 2017). “The Sugar Wars,” Daniel Engber, The Atlantic , (January/February 2017). “Which Foods May Be Addictive? The Roles of Processing, Fat Content, and Glycemic Load,” Erica M. Schulte, Nicole M. Avena, and Ashley N. Gearhardt (February 18, 2015). “You’re About to Find Out How Much Sugar Is Added to Your Food,” Deena Shankar Bloomberg.com , (August 9, 2016). Fed Up, (Atlas Films, 2014). “Healthy Diet,” World Health Organization. “Understanding and Addressing Food Addiction: A Science-Based Approach to Policy, Practice and Research” The National Center on Addiction and Substance Abuse. « Previous PostCan an Industrial Giant Become a Tech Darling?